A couple of weeks ago on Kevin DeYoung’s blog, Josh Blunt wrote four guest posts that I thoroughly appreciated. Blunt describes the journey his own church plant took from being an attractional church (“metro”) to becoming a church marked by God’s Word, sacraments, prayer, and discipline (“retro”), and he describes the problems they faced through their transition. Here are links to the articles–they are well worth reflection as we seek and pray for the church’s ongoing reformation. Many within our little tribe insisted that church planting could restore our dwindling numbers, and even revitalize existing congregations who would parent new, daughter congregations. 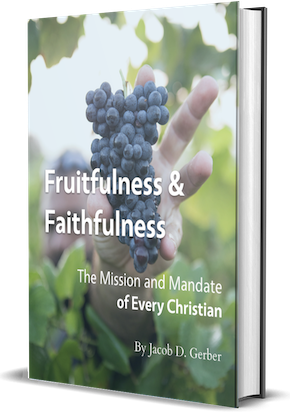 This plan seemed explicitly biblical and patently apostolic to me then, and it still does now – healthy, biblical, new congregations and church networks DO reach new people and expand the Kingdom. When I started out as a planter, however, most of us assumed that this growth potential would be largely connected to the new congregations’ ability to more nimbly and rapidly deploy progressive, attractional church methodology. In other words, we would adapt to the emerging needs of unbelievers far more easily, having fewer sacred cows to kill along the way. I can assure you that no one foisted this rationale on me explicitly or activistically. All the appropriate reverence and spiritual language one would expect in churchmanship were judiciously injected along the way. I heard no one openly advocating for a radical abandonment of the ordinary means of grace on which all believers have historically depended for sustenance (God’s Word, the sacraments, and prayer), nor did anyone imply that the true Church should no longer be marked by discipline, purity in proclamation, or right administration of the sacraments. Rather, an excessive optimism about progressive methodology and focus on attractional church accoutrements steadily overshadowed our faith in such means. This blind preference was instilled by the emphasis and tone of well-intentioned and hopeful people, not by any strategic rhetoric from jaded deconstructionists. About 4-5 years in, something happened that changed my faith in unadorned preaching and evangelism. There were finally enough true converts in our congregation (God had sovereignly used our clumsy proclamation to win believers) that I could track the sources of feedback I received. The recently lost-and-found WERE frustrated with me – but for cutting messages short, trimming content, and watching the clock! Those who had demanded curt, topical homilies were cradle-to-grave types. Denominational veterans claimed to be shielding newbies from discomfort, but the newcomers were clamoring for biblical depth and blunt confrontation. The strategic strength (and ecclesiological weakness) of the attractional model was that all three groups heard winsome positives that seemingly affirmed their preferences. Simultaneously, no group felt confronted with unpleasant limits or boundaries that would offend them or challenge their presuppositions. In effect, the attractional model allowed us to be fuzzy enough to draw people with a wide variety of spiritual agendas, each one fully expecting that the new congregation would progress into exactly the kind of church he preferred. Church discipline, unresolved conflict, clarifying gender roles, and authoritative church governance all add up to one thing: ANTI-attraction. When your main purpose is to get people in the door, it would seem that the less said about these topics, the better. The reality is that modern, American culture (especially mainstream religious culture) has a passionate aversion to authority, conflict, countercultural stances, and meddling in people’s private lives. If your goal is uninterrupted church growth, then every battle for church purity is lost simply because it was begun. The result of all this decidedly repellent activity was that our congregation was masterfully pruned by the Holy Spirit. Those who had an axe to grind with authority and discipline voted with their feet. Those who worshipped at the altar of niceness headed for more pleasant pastures. Those who savored growth and size left, ironically, because they disliked people leaving. In the end, we were numerically diminished, bedraggled, sobered, chastened, and publicly defamed. We were also a far more mature, infinitely more compelling, more deeply united, and vastly more gospel-centered group of people.